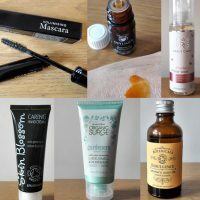 Natural beauty products don’t have to be expensive, just go to TK Maxx and browse their beauty section! I am sure you will find some great bargains. When I go to TK Maxx I always end up buying one or two green beauty products but my last visit ended up with buying much more than that! I think I was just lucky to find those amazing natural brands in one place and I got hold of them before other people picked them up. I was actually quite surprised to find quite expensive brands in TK Maxx such as Balance Me. I didn’t think twice of course, I just went for it. If interested, I also came across other natural beauty brands which I would be happy to recommend although I didn’t buy their products. These were Lavera, Jason and a few others which I forgot now. At just £3.00 I was sure I cannot go wrong. This was reduced from £3.99 actually but RRP is £7.99. Why would people not buy this quickly is a big mystery to me. If you are after a natural hand cream, these normally cost around £10 for 100ml and if you find something for £3.00 don’t hesitate, just buy it! I already started using this hand cream and it’s pretty good, it drys really quickly and it moisturises well. If you cannot get it in TK Maxx get it on LoveLula website for £7.99. I haven’t tried anything from Skin Blossom before so I really had to buy this hand cream. You cannot have too many hand creams in winter, that’s for sure! This one was also a real bargain, costing only £3.00. And it’s really special too because it contains 87% of organic ingredients and it’s certified organic by Soil Association. If you cannot get it in TK Maxx get it on LoveLula website for £5.95. Now it’s the time when colder weather and heating start to contribute towards skin dryness so you should really have a dedicated face wash, especially if you normally wash your face with other products. I normally use natural soap from Faith in Nature but in winter my face tends to get dry patches so I thought that getting this face wash would be a good idea as it doesn’t strip your skin of protective moisture. I already started using it and I love it! It’s definitely better than Faith in Nature soap as it leaves my skin feeling softer and well cared for. I paid less than £5.00 for it and if you cannot get it for that price in TK Maxx you can buy it on LoveLula website for £6.95. This would normally cost £18.00 but I got it for £7.99. It’s not that I really needed it but I just couldn’t resist this offer. This is a multipurpose balm which you can use on any dry skin patches including lips, cheeks, cuticles, elbows and heels. I am sure it will come handy in winter! If you cannot find it in TK Maxx you can currently buy it on Naturisimo site at a reduced price of £15.30. I didn’t know that there is such a thing as a natural facial expression filler and although my expression lines are barely visible I decided to buy it and see whether it really works. I paid £8.00 for it but RRP is actually £22.00 so a real bargain! If you cannot find it in TK Maxx you should be able to buy it on Amazon, although it’s currently out of stock. Have you bought any green beauty products in TK Maxx lately?